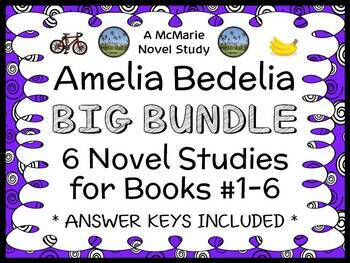 This Amelia Bedelia BIG BUNDLE contains 6 Novel Studies from Amelia Bedelia series by Herman Parish. In total, there are 192 pages. Each Novel Study is in booklet-style PDF format. 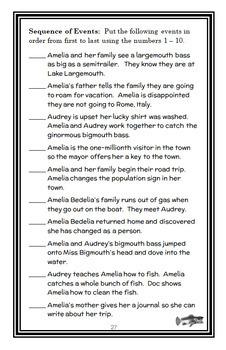 #3 - Amelia Bedelia Road Trip! #4 - Amelia Bedelia Goes Wild! 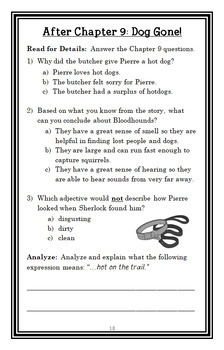 Each novel study is complete with a challenging, book-based Word Search and Word Jumble! ***The preview available is Amelia Bedelia Cleans Up Novel Study, which is one of the six novel studies in this bundle. This bundle is a .zip file. The files inside the compressed folder are all separate.